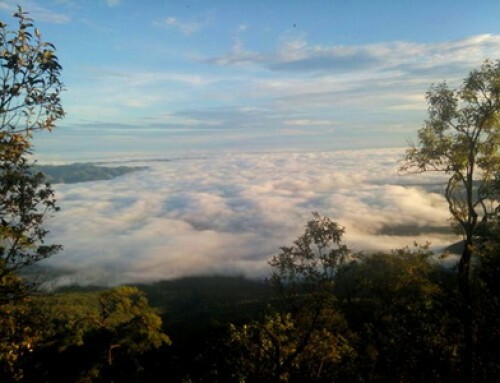 Mae Ngao National Park is in Chiang Mai, Tak and Mae Hong Son. 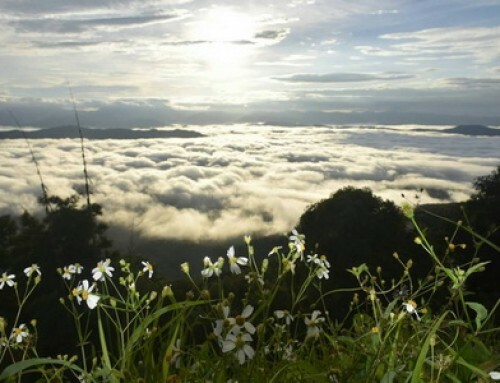 Mae Ngao National Park is in Chiang Mai, Tak and Mae Hong Son Provinces. Mae Ngao National Park comprises high mountains which are the source of many rivers flowing into the Salween River of Myanmar. 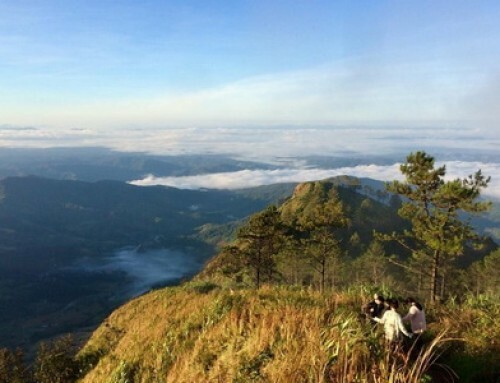 Mae Ngao National Park is situated in Mae Hong Son Province, covering an approximate area of 257,650 rai. The National Park is a beautiful natural sightseeing spot and being the source of many rivers flowing into Salaween River. This important river serves as a significant means of transportation for local hill tribes as well as a prime rafting spot for tourists. Mae Ngao River Mae-ngao River is the longest and most important river, passing the areas of the National Park for approximately 42 kilometers long, starting from Ban Sob-khong, flowing northwards to Sob-ngao and meeting Mae-yuam River. 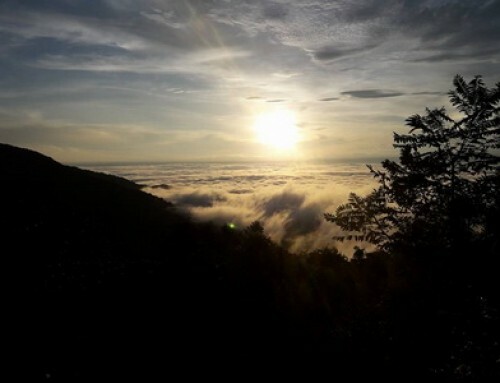 Mae-ngao River is the provincial boundary, whereas, the western part of the River is Tha Song-yang District of Tak Province, and the eastern part thereof is Sob-mei District of Mae Hong Son Province. The River is approximately 10-12 meters wide and the water is so clear that it is called Mae-ngao River. In the rainy season, the River, which is used as a water transport route to Sob-mei District by tribesmen, has the very rapid water. Many gullies within the National Park, which flow into Mae-ngao River, include Huai Mae Loh-noi, Huai Mae-bang, Huai Mae Lela-kro, Huai Oloh-gro, Huai Kong-oum, etc. Mae Yuam River Mae-yuam River flows from Khun-yuam District, passing Mae La-noi District and meeting Mae-ngao River at Ban Sob-ngao, Sub-District Mae-sod of Sob-mei District and meeting Mei District at Ban Sob-yuam, Sub-District Mae Sam-laeb and flowing into Salaween River. 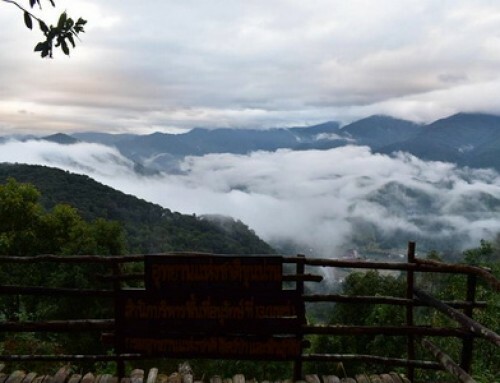 The River is approximately 215 kilometers long, and being considered as one of the major rivers of Mae Hong Son Province.The River flows southwards, passing the western area of the National Park for approximately 14 kilometers long. Rid River The River is situated in the north of the National Park, flowing westwards to Sub-District Kong-koi, Sub-District Mae-suad, and meeting Mae-yuam River in the south of Ban Mae-suad. Huai Mae Khong The Gully flows from Om-koi District and meets Mae-ngao River at Ban Sob-khong. Since the topography of the National Park consist of high mountains and water sources, the weather at the National Park can be divided into 3 seasons including the rainy season (June-October) of which average rainfall is 1,120 mm/year; winter (November-February), when the weather is cold and foggy; and summer (March-May), when the average highest temperature is 35°C. There are various kinds of forests within the areas of the National Park, including mixed deciduous forests of which major plants include teaks, Xylia xylocarpa (redwood plants), Terminalia arjuna (Rokfa), Black Wood, Dalbergia assamica (Ked-dum), Leguminosae (Pradoo), etc. ; evergreen forests of which major plants include Lithocarpus cantleyanus (Kor), Aristolochia indica Linn. (Kra-chao Sida), moss, and lower plants include ferns, Bromheadia finlaysoniana Reichb.f. (ground orchids), ginger, etc. ; timber forests, which can be found in the areas of hills, shoulders, foothills, and of which major plants include timbers, Shorea siamensis (Rang), Dipterocarpus tuberculatus (Pluang), Dipterocarpus intricatus (Hiang), Dillenia aurea Smith (Ma-San), Malacca tree, Morinda elliptica (Yor-Pa), and lower plants include grasses. According to the exploration of the National Park, there are different kinds of mammals including wild boars, masked palm civets, Asiatic black bears, Muntiacus muntjak, monkeys, langur, gibbons, goral, flying squirrels, foxes, Asiatic wild dogs, wild rabbits, small bamboo rats, etc. Birds found in the areas of the National Park include red jungle fowls, Malayan koel, singing myna, turtle doves, Drongo, blue magpie, coucal, stripe-breasted quail, Ga-hang, Nuthatch, Greater Green-billed Malkoha, barn owls, Kra-wan, Trogon, tailor-bird, black-billed roller, etc. Reptiles found in the areas of the National Park include cobra, banded krait, constrictors, rat snakes, etc. Amphibians inhabiting in the areas of the National Park include small green frogs found in Mae-ngao River. Fish found in rivers include spiny eels, giant gourami, green fish, gobies, estuarine catfish, crocodile fish, etc. Ngao River: Sai Nam-ngao is a major river within the area of the National Park, in which water is so clear that it is called Mae-ngao River. The River is tortuous along islets and reefs. In the rainy season, the River has the very rapid water. In the dry season, the River is suitable for rafting and sightseeing since there are a lot of trees and flowering plants such as Lagerstroemia speciosa (Inthanin) on both sides of the river. It is an activity that challenges the ability of the tourists who really love in adventure. 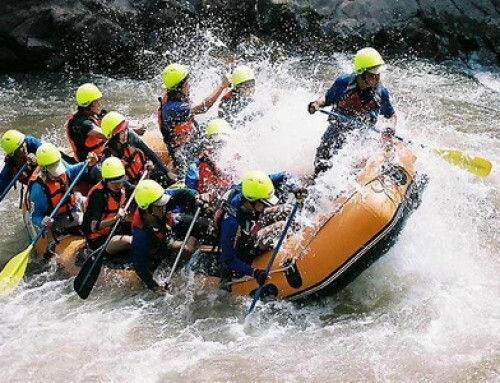 It is more popular to use the bamboo raft for whitewater rafting along the strong stream with rocks and cliffs, together with the beautiful nature on both sides of the river banks. Since it is an activity that has a lot of fun and exciting, therefore, it is suitable only for the tourists who love much in adventure. The appropriate period for rafting is June – January and there are three rafting ranges as follow: from Nadoi village to Mae Ngao National Park taking 2 days 1 night, from Mae Lui village to Mae Ngao National Park taking 3 hours, and from Mae Ngao National Park to Sob Ngao which is the meeting point of Ngao River and Meoi River. The tourists can contact rafting at Mae Ngao village and Mae Ngao National Park. For the journey, begins from Mae Sariang district using high way no.105(Mae Sariang – Mae Sod) after passing Sob Meoi district going straight over 15 km. arriving Baan Mae Ngao village turn left and going 5 km. farther there will be Mae Ngao National Park. 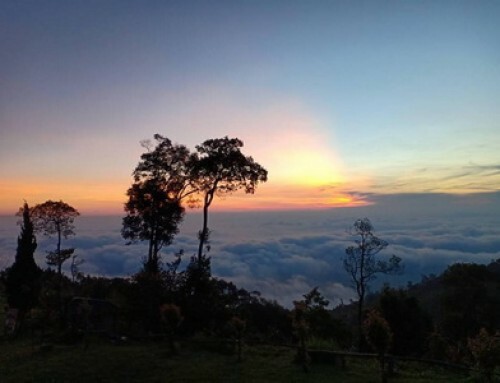 Doi Pui Luang: At present, there is no vehicle route to the mountain ridge of Doi Pui-luang, except a jungle route, which takes you 2 days for round trip on foot. 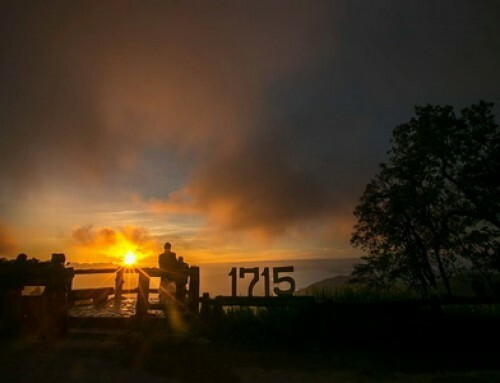 The Sightseeing Spot is located at the altitude of 1,600-1,700 meters above the medium sea level. 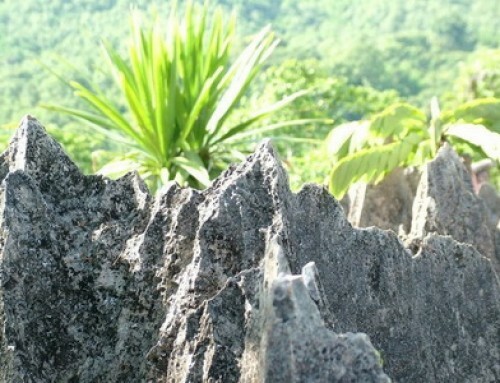 The mountain ridges extend to the area of Om-koi District. In winter, you can view the beautiful sea of fogs; and the weather is cold and breezy. The Sightseeing Spot is suitable for tourists who enjoy jungle travelling and camping. Oloh-gro Waterfall is a large and beautiful waterfall with the flowing water throughout the year, situated in the north of Ban Om-loh (near Mae-ngao River). The Waterfall is about 150 meters high, originating from Oloh-gro Gully. There are virgin forests in the area of the Waterfall but no vehicle route is built to access the Waterfall, except a jungle route, which takes you 2 nights and 3 days for round trip on foot (on the way to the Waterfall, you need to stay overnight at the Karen’s village, then, travel on foot for approximately 3 hours to the Waterfall; and on the way back home, you need to stay overnight at the Karen’s village for another night). Mae Wa Luang Waterfall: The Waterfall is a beautiful multi-step waterfall, situated at Ban Mae Wa-luang of Tah Song-yang District, Tak Province. The Waterfall originated from Mae-wa Gully. 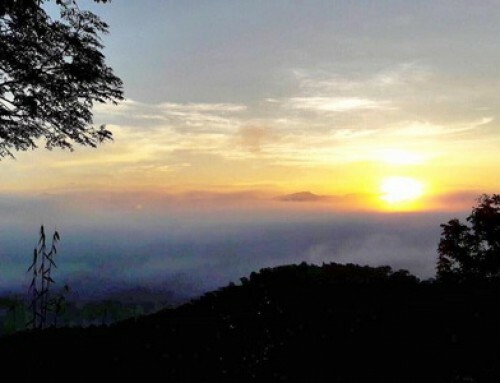 You may start the travelling by walking from the National Park’s office and on the way to the Waterfall, you can view different kinds of wild plants and strange birds. Mae La Or Waterfall: The Waterfall, originating from Mae La-or Gully, is situated near the route of Mae-sod – Mae Sa-riang and flowing into Mae-ngao River. And you may travel on foot for approximately 400 meters. To get to Maee Ngao national park, from Mae Sariang drive on highway 105 to the south to Sop Moei town, about 25 km. Continue another 15 km to Ban Mae Ngao town. Then turn left onto a dirt road and proceed another 5 km to the park headquarters. Camp ground and public rest rooms are available. Visitors should bring their own gear, tents, and food.